Beautiful West Country Hotel in Chard, Somerset on the Dorset / Devon border, only 25 minutes from Somersets County town Taunton. 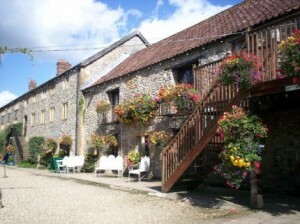 Hornsbury Mill boasts 9 comfortable guest rooms along with the luxurious Crown Wheel Suite (also used as the bridal suite) which comprises a spacious sitting room furnished in modern style and overlooking the workings of the waterwheel, a modern bathroom and large bedroom complete with a mahogany four-poster bed. 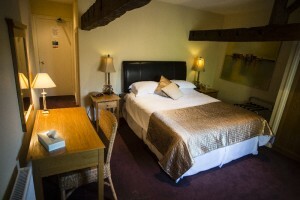 The guest rooms are all double rooms each named after a local Somerset village and are individually styled and full of character and charm. The top floor rooms feature the original timbers of the old mill drying floor and the names of workers of days gone by can be seen carved out in the beams. Each room has a modern ensuite bathroom or shower room with complimentary Duck Island toiletries. Unwind on a pretty window seat or take a drink from the bar and relax by the lake. Why not stroll amongst the swans and wildfowl or get to know the peacocks in the four-acre gardens. In the evening our bar staff will welcome you and serve drinks while you peruse the a la carte menu and choose your evening meal. After dinner coffee & Chef’s petit fours can be taken whilst relaxing on the sofas in the comfortable, homely lounge area. Retire to your bedroom where you will find everything you need to make your stay a pleasant and relaxing one, including hairdryer, flatscreen TV, tea & coffee making facilities, complimentary bottled water and for the businessman we have free wifi internet access throughout. If you need anything else reception is there to help you. After a refreshing night’s sleep, wake up and make your way to the Wheelroom to enjoy a Continental or very generous full English breakfast cooked by Chef to order.